Better late than never. Things have been pretty busy on this end, but that doesn’t mean that something tasty can’t come out of the chaos every once and a while. This dish was made at the end of a perfect, chill day. I got to spend some time at the State Farmer’s Market, hang out with some good friends, and serve something delicious at the end of it all. 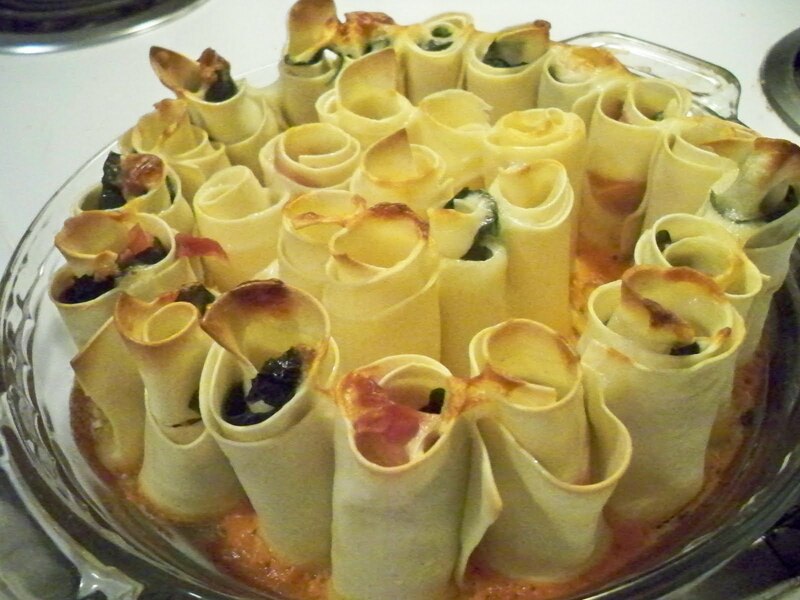 Here is the recipe for Florentine Pasta Roses, inspired by the game Assassin’s Creed II. Lots of people died in this game, and it’s only proper to pay our respects with roses. A little tip when making these elegant, little pretties. Don’t be afraid to trim them to better fit your pan. Also, slitting the top with a paring knife will help these blossoms really bloom. I will do that next time I make another bouquet. 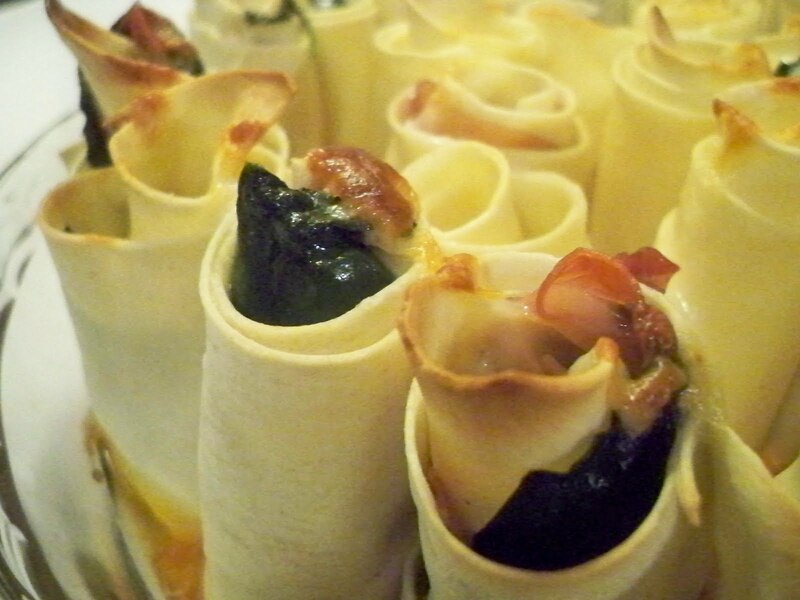 This is a traditional dish out of Romagna, Italy. I wanted to put a Florentine twist on them, though, since the main character of the game hails from Florence, a major country on my “Bucket List”. A big player in Florentine cuisine is spinach, and I incorporated another big player – broccoli – into the salad accompanying this dish. First, let’s get the sauce for this together. 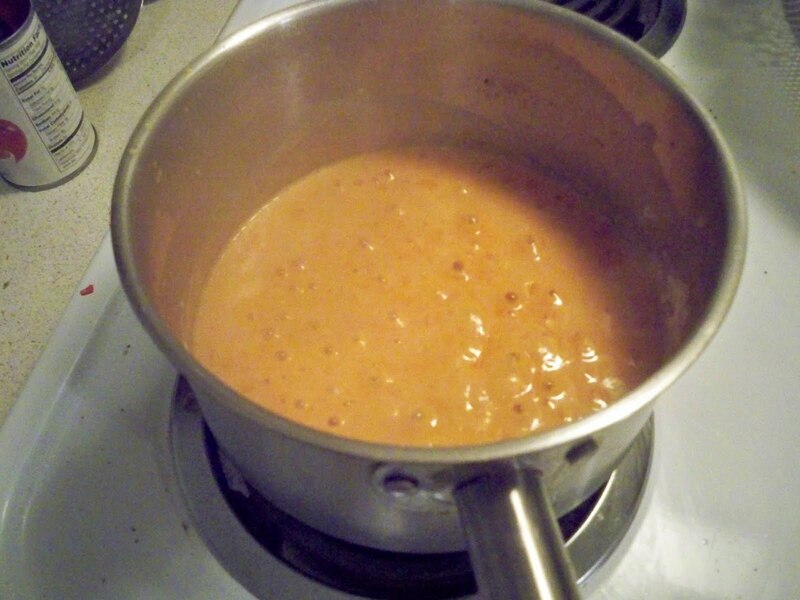 Add your butter and heavy cream to any saucier, deep pan, or pot and heat to medium. Let this reduce, bubbling away for about 4-5 minutes. Add your tablespoon of tomato paste, and whisk gently to dissolve. Let this reduce for another 4-5 minutes, or until your sauce reaches a buttermilk consistency. 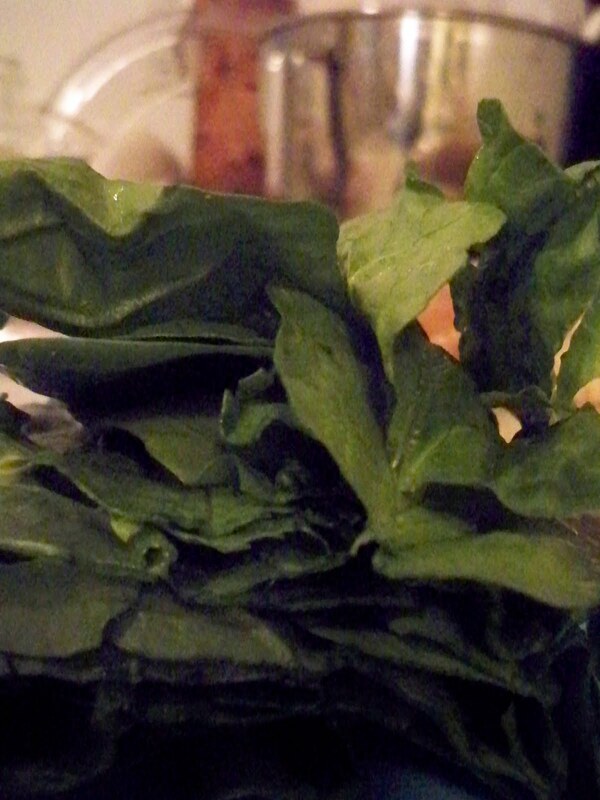 Start with the spinach. I picked up one bunch from my local super market. You want to remove the stems, blanch (or boil for about 3 minutes), and then shock in an ice bath. This is like a big kick start to the spinach’s flavor, and will render a really nice color. Set these prepped, deep green leaves to the side, we’ll use them later! Next, start boiling your pasta sheets. You want to do just a few at a time, or you’ll get a big, lopsided mass of noodles. So, once your 4-5 sheets are al dente, shock them in your ice bath once more, and start another batch. Repeat as many times as necessary. So, pull a pasta sheet between two fingers, rinsing starch off the surface, before applying a light coating of olive oil. Roll up your strips of spinach, prosciutto and fontina – slice this thin, you can prep this in advance with the spinach, too! – and trim according to the size you prefer for your blossom. 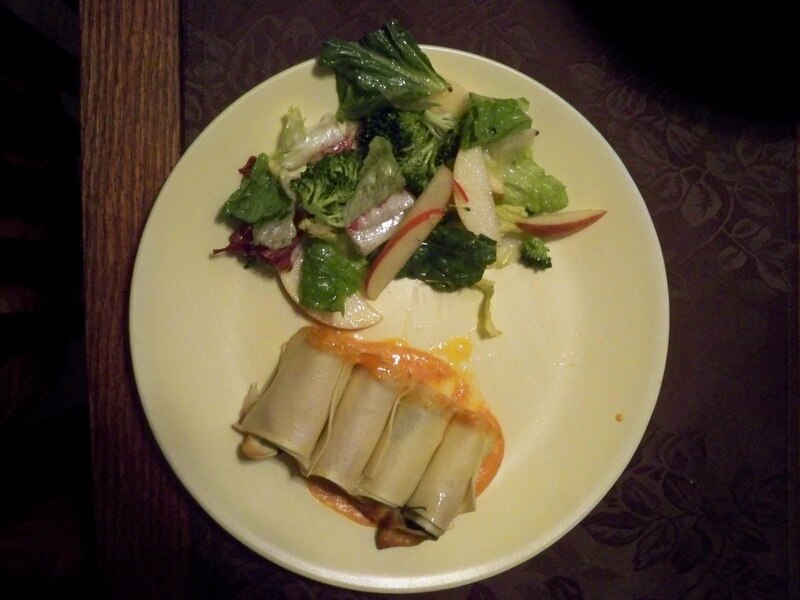 I made relatively small ones, so I wound up splitting each pasta sheet in half. Line your pan – I used a pie pan – with a thin layer of sauce, and start standing your blossoms up. You top the blossoms with more of the sauce, or serve that on the side. Garnish with grated Parmesan, or provolone. Bake your bouquet at 450(F) for 15 minutes, and let stand for 5 minutes before serving. Splitting the tops, allowing the pasta bloom, all of this eliminates the “pasta tulips” possibility. Combine these ingredients in a big bowl! I used pink ladies and winesap apples. 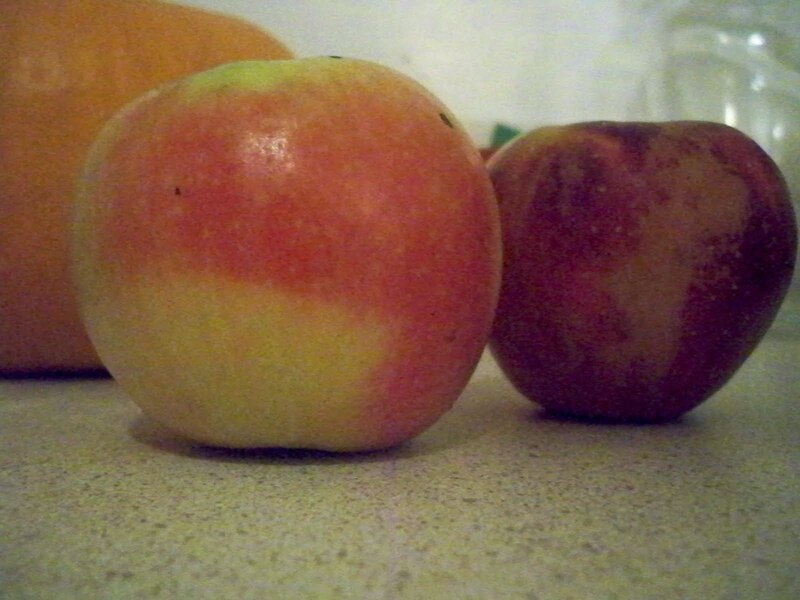 They are both a little tart, with the pink ladies proving to be somewhat sweeter than the winesaps. It’s so tasty with the cukes and broccoli, just another reason I love adding fruit to salads. 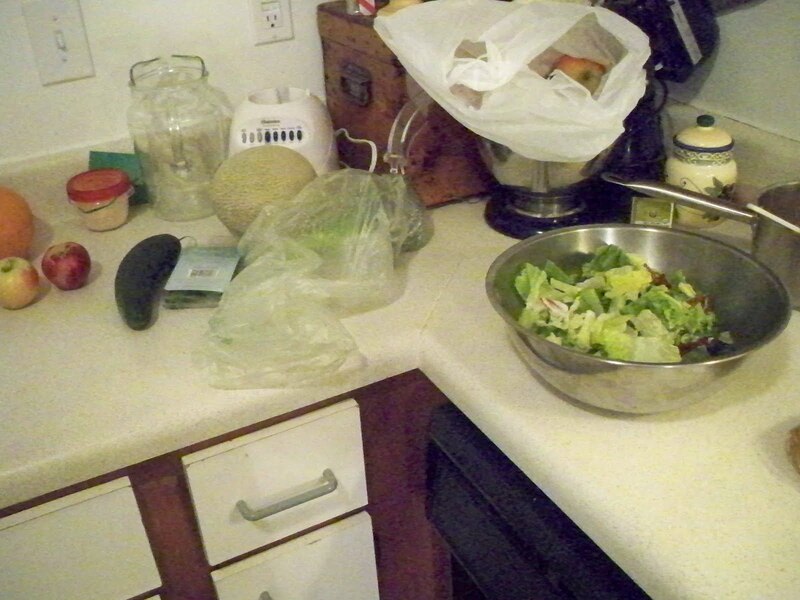 Homemade Florentine Dressing In all of the excitement, I forgot the lemon for this recipe. I substituted with pomegranate juice. The taste was still there, but lemon would have really driven this dressing home. Try not to forget your lemon like I did! Give your herbs a rough chop or grind to start releasing their flavors. Basil, rosemary, parsley, and thyme are seen as traditional Florentine herbs. 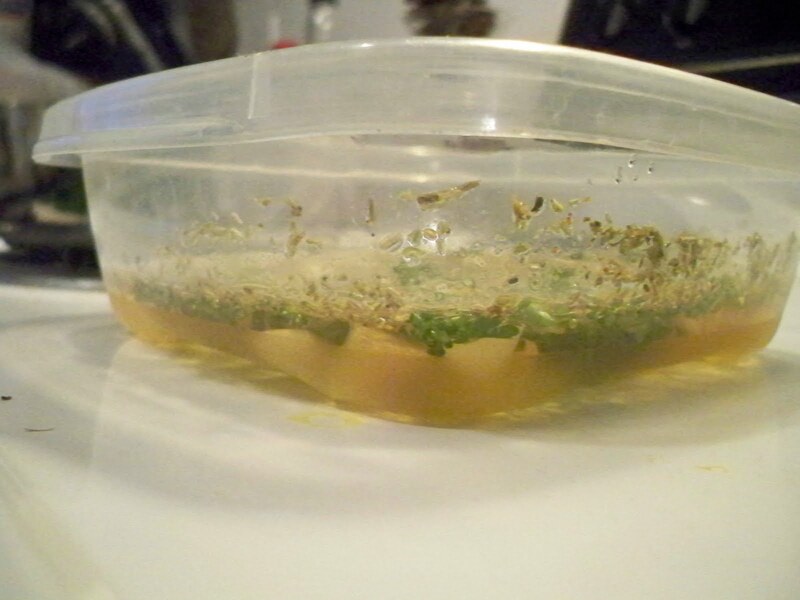 Steep the garlic, thyme, basil, parsley, and rosemary in the apple cider vinegar for 1 hour. If you let it steep for hours you’ll get an herby mush that tastes earthy rather than light and aromatic. Smell is largely connected to taste, so try not to forget! Strain all of this into the mixed together olive oil and lemon juice. Shake it all up and chill. Try and do this close to serving time, or you’ll get a big block of olive oil over the separated vinegar. Toss with your favorite salad, or use it for a veggie dip. Coming up next we put motion sickness, dystopian futures, and parkour to the test in Mirror’s Edge. These are beautiful! I've never seen anything like them and I've been around food a long time. Seems to involve a lot of hand-on time, but definitely worth it. And a lovely salad too!